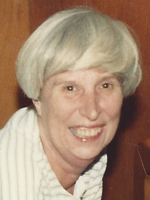 Carol McDonald Sharpe, 78, passed away with her loving family by her side on Friday, March 22, 2019. Carol grew up in Holyoke, MA and moved to Newport News in 1965. She started her career working for the U.S. Census Bureau in 1980. She went on to work for Dominion Travel and retired in 2004 after 17 years of service with the Department of Defense as an Accounting Technician. In her retirement, she continued working in Colonial Williamsburg for South Eastern Institute of Research doing market research. She was involved in local politics supporting many Democratic candidates. She was a master at entertaining and cooking and was well known for her famous lasagna and potato salad. She became a second Mom to all of her children’s friends; her door was always open. She was known for scouting the local department stores searching for a bargain. In true Carol fashion, she became friends with the clerks. “The Carol Sharpe Store is officially closed”. Carol was a devoted wife, mother and grandmother. She was preceded in death by her parents, Oscar and Theresa McDonald; her husband, Ellsworth “Skip” Sharpe and her brother, Gilbert McDonald. She is survived by her children, Susan Smith (Dave) of Glen Allen, VA, Timothy Sharpe (Katherine) of Newport News, Daniel Sharpe of Baltimore, MD and Anne Carter (Daniel) of Sparrows Point, MD; her sister, Jean Topolski of Holyoke, MA; her grandchildren, Caroline and Graham Smith, Megan Lynch and Daniel Carter; her sister-in–law, Patty McDonald of the Eastern Shore and of course her devoted friend, Dr. Samuel Weinstein of Hampton. A Service to Celebrate Carol’s Life will be held at 4:00pm on Tuesday, March 26, 2019 at Weymouth Funeral Home. A reception will follow at the funeral home. In lieu of flowers, donations may be made to the Sisters of St. Joseph’s of Springfield, Springfield, MA or The Peninsula Agency on Aging. Arrangements by Weymouth Funeral Home.